Supplements for opiate recovery can help you succeed for the long-term. Learn how supplements for opiate withdrawal can improve the detox and recovery processes. Recovery from an opiate addiction isn’t easy, especially when you’re dealing with the symptoms of withdrawal in early treatment. Opiate withdrawal – including intense cravings – can be excruciating, and medical detox or medication-assisted treatment, or MAT, is essential for safety and comfort during the detox process. 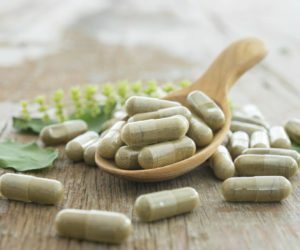 Medical detox is supervised by medical professionals who provide a variety of medications to reduce the severity and the duration of detox, while MAT involves medications that prevent withdrawal and block cravings. Whichever you choose, supplements for opiate recovery can be an important and effective way to further reduce the discomforts associated with detox and early sobriety. Although it’s always best to get your essential vitamins and minerals from a nutritious, varied diet, your addiction may have led to a deficiency in some essential nutrients. At WhiteSands Treatment, our dietary team will work with you to determine how nutrition can help you repair the damage done to your body and improve your health, mood, quality of sleep, and sense of wellbeing. Here, then, are three supplements for opiate recovery to consider if you’re not getting enough nutrients in your diet. The vitamin B complex consists of eight B vitamins: B1, B2, B3, B5, B6, B7, B9, and B12. These vitamins are essential for keeping your body’s systems operating optimally, which helps your body better cope with detox and recovery. Vitamin B1 helps the body make new cells, and it’s often referred to as the “anti-stress vitamin” because it calms the nervous system and protects the immune system for better health. Foods rich in vitamin B1 include whole grains, beans, kale, spinach, wheat germ, and peanuts. Vitamin B2, known as riboflavin, is a powerful antioxidant that can help reverse the damage done to your cells by free radicals. Foods high in vitamin B2 include almonds, wild rice, eggs, milk, yogurt, and soybeans. Vitamin B6 helps regulate pyridoxine, which plays an important role in mood and sleep patterns. It’s one of the key supplements for opiate withdrawal, because it helps the body produce the sleep hormone melatonin and feel-good brain chemicals like serotonin and norepinephrine. Foods rich in vitamin B6 include chicken, turkey, tuna, salmon, sunflower seeds, brown rice, cheese, and lentils. Vitamin B9, known as folic acid, helps prevent depression and memory loss. You can get vitamin B9 in dark leafy greens, beets, salmon, asparagus, root vegetables, beans, and milk. Vitamin B12 works with vitamin B9 to increase red blood cell production to improve the oxygenation of the blood, which is essential for good overall health and brain function. Vitamin B12 is found in fish, shellfish, eggs, beef, pork, and dairy. Vitamin E is one of the most important supplements for opiate recovery due to its role in combating inflammation and the damage done to cells by free radicals. It can help repair skin damage, and it plays a role in balancing your endocrine and nervous systems to improve mood, fight anxiety and fatigue, and increase your energy levels. The best foods for vitamin E include sunflower seeds, almonds, wheat germ, mango, avocado, broccoli, and spinach. Calcium and magnesium work together to help regulate your heartbeat and blood pressure as well as relax the nervous system to soothe the muscles and reduce cramping and twitches. Find loads of calcium in almonds, broccoli, oranges, navy beans, kale, and dairy products. Food rich in magnesium include avocados, bananas, nuts and seeds, legumes, whole grains, tofu, and, happily, dark chocolate–about an ounce a day for 16 percent of your daily recommended intake. Improving your nutrition is an important part of treatment and recovery from an opiate addiction. Supplements can help ensure you’re getting the vitamins for opiate recovery you need for strength, energy, mood, and overall health. But getting too much of a particular nutrient can be detrimental to your health. Talk to your physician or dietician before you start taking any supplements.